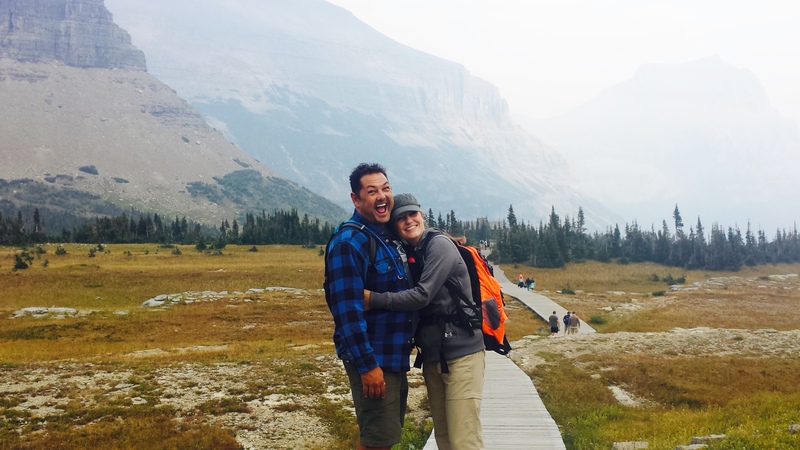 Where Have We Been?…Idaho, Montana & Wyoming! 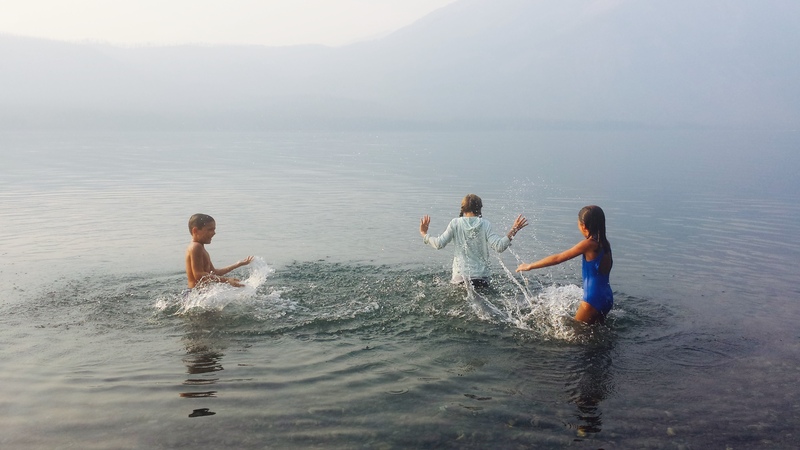 by Jenn Barry.In Uncategorized.Leave a Comment on Where Have We Been?…Idaho, Montana & Wyoming! This is crazy! Has it been two months since I posted? All my grand ideas of this faithful journal stored in the cloud for my children one day…and for the occasional parent who wants to connect with another non-conventional and like-minded family…or for that someone who turns to the internet to see if there are other families that do this “full-time” thing, or if they are simply the only one with this crazy idea. Well goodness…it’s quite real here. The truth is, my biggest battle on the road is acquiring the internet. This inability to consistently utilize technology, coupled with the fact that this homeschooling mama is now a road-schooling mama has been quite the adjustment. Oh…and yes, we’ve had family around for the last three weeks (on and off)…so who wants to write when you can sit by the campfire with loved ones? So with that introduction…let me share our adventure! 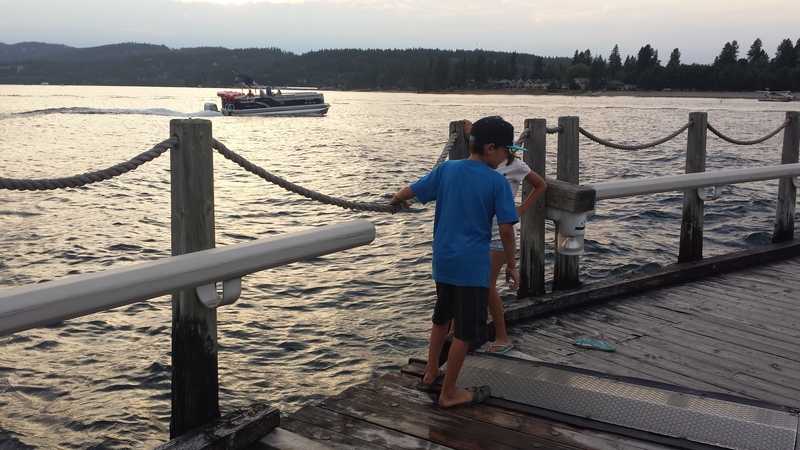 We spent two lovely weeks in Coer d’Alene Idaho. We quickly fell in love with this little town…all of us actually. In fact, four states later, it is probably our favorite. Idaho is nothing like what I imagined. In fact, compared to the amazing water and beautiful lush, green forests…the potato fields were very insignificant. I don’t even think we had one Idaho potato during our entire stay. Not that we don’t love potatoes….it’s just that there is SO much more to Idaho. 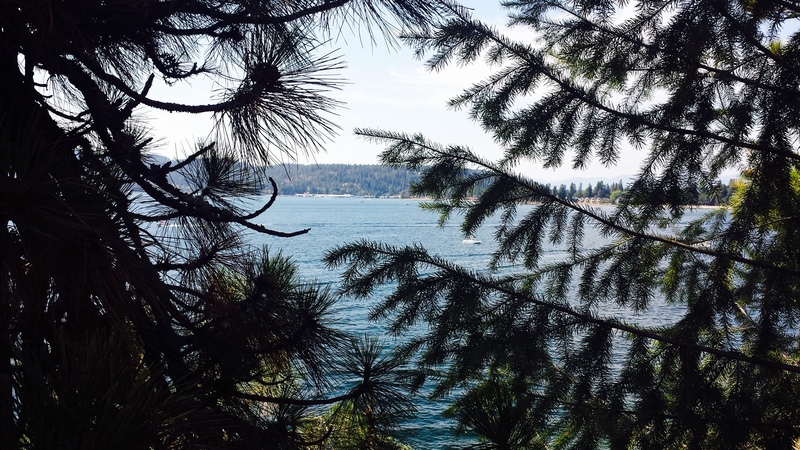 Lake Coeur d’Alene is so warm compared to our cold lakes of the Sierra Nevada’s. We thoroughly enjoyed our time here, despite the horrid fires and the ridiculous amount of smoke that came over from Washington state. From here we went east and spent two weeks in Hungry Horse, Montana. This super tiny town is just outside the western entrance of Glacier National Park. 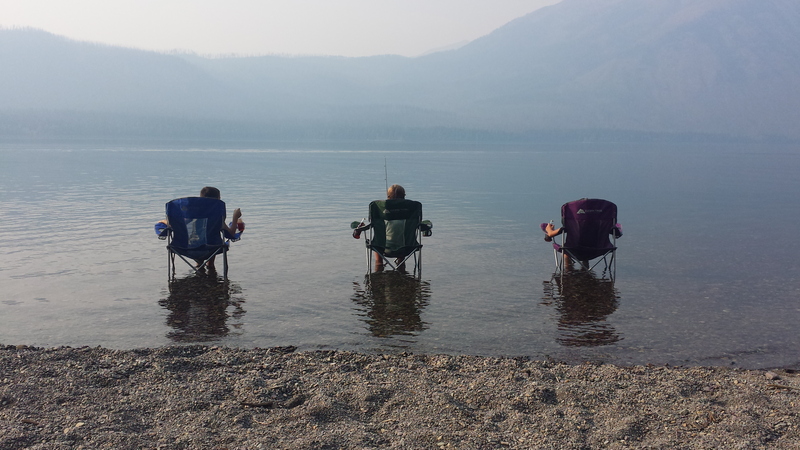 Sadly the smoke followed us and we saw more smoke than big sky in this beautiful part of the country. After some good rain, we did get to finally see a blue sky and the puffiest white clouds I haver seen. 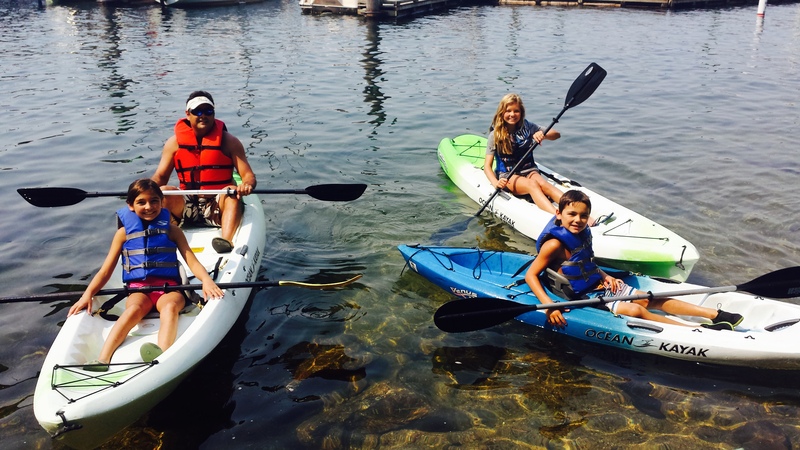 We ventured to the mountain town of Whitefish one day and witnessed it’s country allure. It is adorable. Although we loved the RV park where we stayed in Hungry Horse, the town of Whitefish is so much nicer and has much more to do. Being so close to the national park was convenient though. 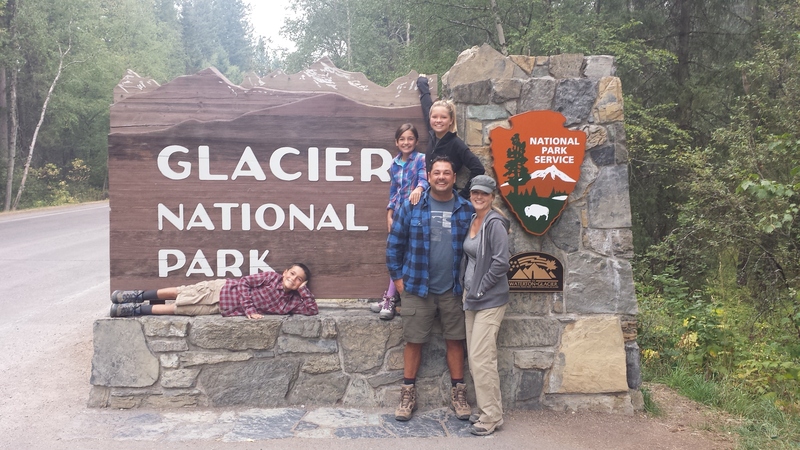 Despite the smoke, Glacier National Park is captivating and will always be quite memorable for our family. We do however want to return when it is not fire season. Yes…this haze is all smoke. We could hardly see across the lake, but that did not stop the fun! My very favorite location here was Avalanche Lake. Although Chris was away on business, it was one of those inspiring and liberating homeschool moments that will forever be dear to my heart. On this day we didn’t even leave the swoosh until 2:00. 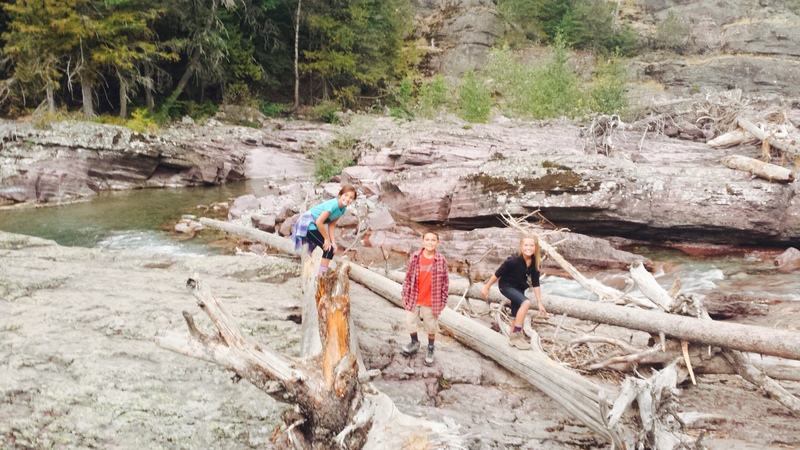 My two littles (who are not that little anymore, but…they will always be my littles) did not want to hike at AT ALL. After several days of feeling trapped in smoke, I was determined to hike and the 12 year old was actually by my side. So we headed out, the four of us. 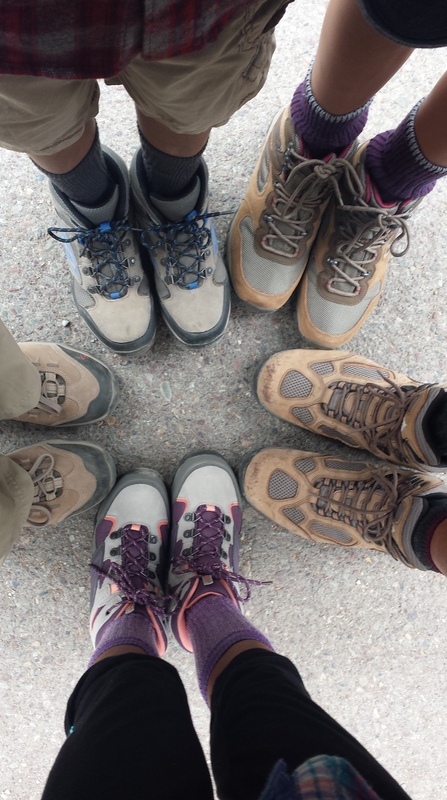 I choose a 4.5 mile hike. I was shocked to find the littles complaining and my boy even sat down and wanted to quit. He had not slept well and was quite tired. This was not normal. My kids hike well and my boy is rugged and always up for adventure. This was all wrong…and was not the wild adventure I was hoping for. However…along this road (as we reached the lake actually) things started to click. Our hearts became filled with teachable moments, love, adventure and beauty. We sat by the lake and had fun. Wow! What a concept. Pure childhood bliss. It was so sweet. The girls did handstands on the beach, my son found bugs, we searched for bears and collected the most perfect tiny pine cones you’ve ever seen. I knew that night as we returned home and reviewed the photos, that my heavenly Father had orchestrated the entire day. Mommy was fun and she had fun…and we handled the mountain well! I still thank the Lord for that sweet day. I dare to say that it will be one of my favorite memories ever. 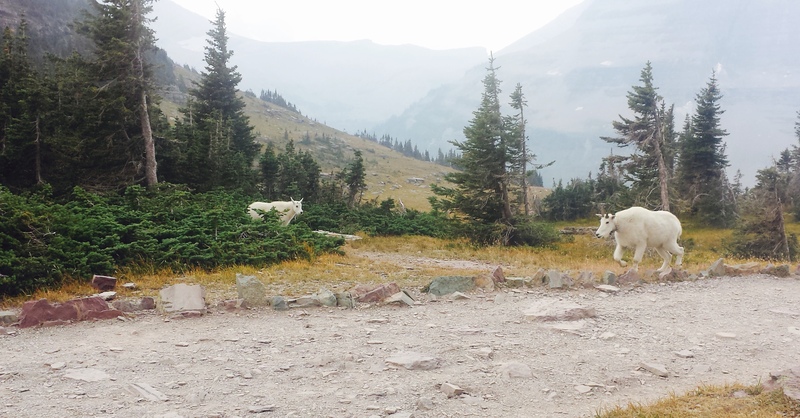 On the weekend daddy was home and we were able to do the Going to the Sun Road and meet our first mountain goats. This was spectacular and thrilling…still smokey though. It was in Yellowstone that we discovered bison. Bison! Wow! What a creature. Every American needs to see a herd of bison and then encounter one close up. You know….where the buffalo roam…it will leave you in awe of this enormous animal. 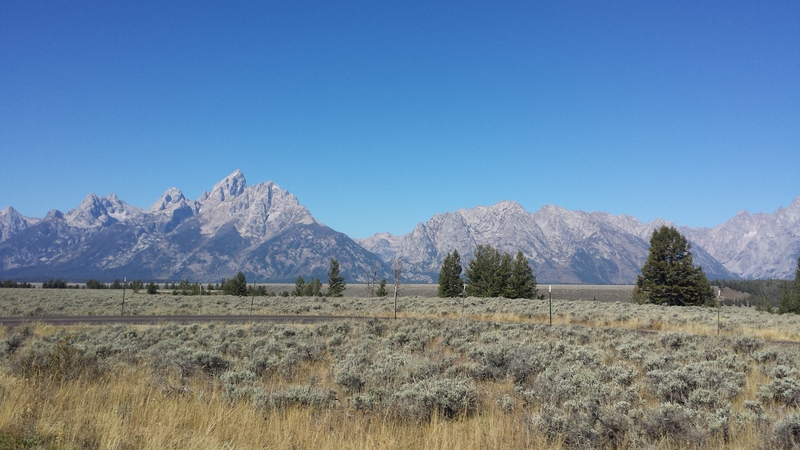 From Yellowstone, we drove the most beautiful road through the park and right into Grand Teton National Park. 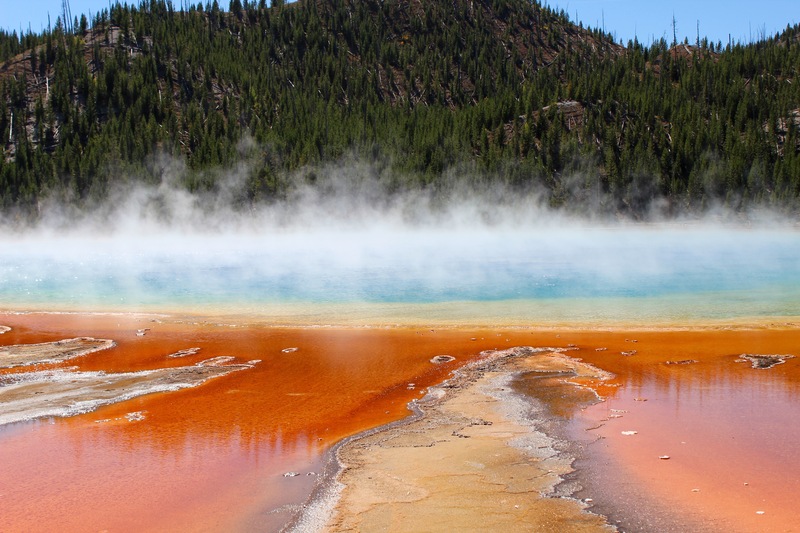 This southern tip of Yellowstone is incredibly picturesque and I feel the most beautiful place in Yellowstone…and that is saying a lot! It was the beginning of autumn and the colors of the trees were brilliant next to the stream and mountains. 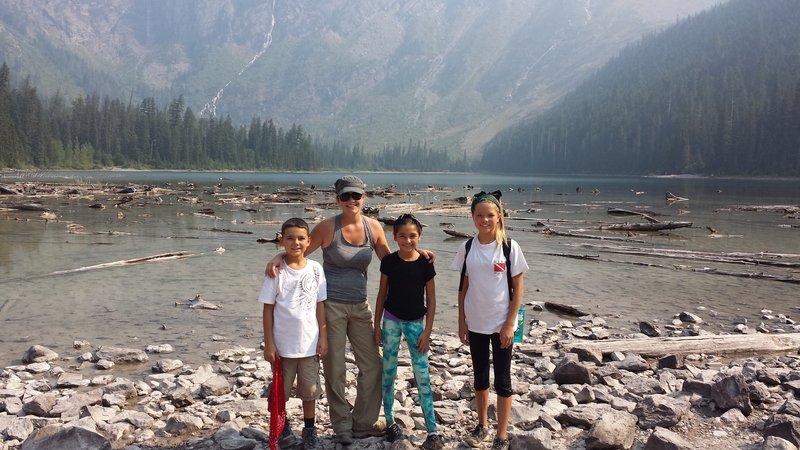 We were so blessed to find the most amazing spot to boondock right across from the Teton range. This was the most beautiful view ever! Wyoming is breathtaking. It’s rugged and wild and we all felt so free spirited here. The landscape is indescribable. I truly understand why people make their home on the range now. After the weekend we found a great little campground outside of Jackson, Wyoming where we could bunker down for the week. Chris had to travel all week and we were blessed with some of the hardest rain we have seen in years. We had time to snuggle on the couch and knock out school lessons, time to explore downtown Jackson and even time to see moose and watch a black bear snoop around the Swoosh and play in the rain. Wyoming was so good for our souls! And this brings us to Colorado…but that is a story for another day. I pray you are inspired by adventure. Our hearts are growing a deeper love for one another and our memory album is expanding. As I sit here writing this, my oldest walks in and we find ourselves in the midst of the deepest, sweetest conversation. Such a sweet reassurance of why we do what we do. I am truly thankful for the gift of time that we have together….a gift that we have now, like we never had before.